Occasionally I record some of my Master students’ Third Degree training. The students don’t actually get these recordings though…well, not at this point anyway. When, and if, students become Dai-shihans in my lineage, and I feel the timing is right, then I will give them the audio recordings of when they were being trained as Masters. This is usually at the point that they feel they are ready to start training another Master. Anyway, I recently came across a recording from August 22, 2017. I thought that actually listening to how I train Masters might give a better understanding of Shinpiden than simply writing yet another article. In this recording, I have two Master students with me. One being the Shihan-kaku in training and the other a Dai-shihan student of mine watching me teach another Master student. 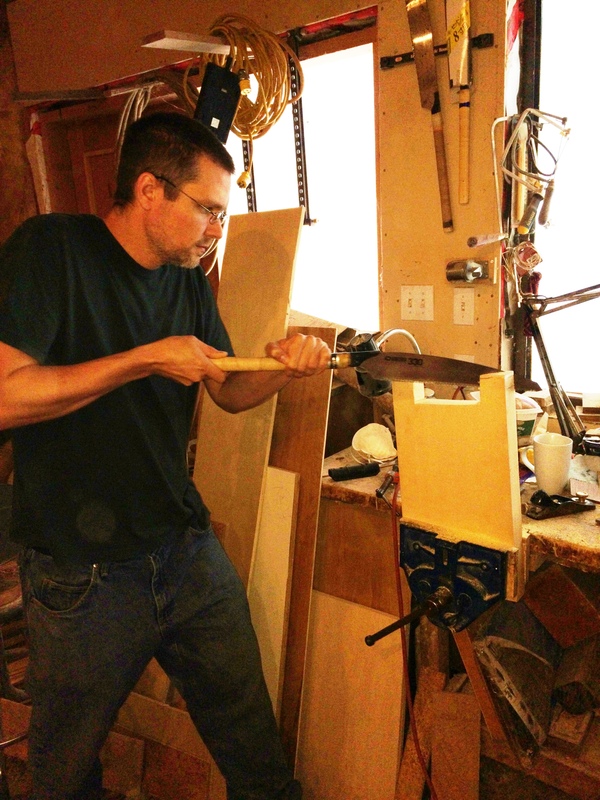 I mention a bench and a Japanese handsaw in the recording…this is the initiation bench Rick Bockner and I made together (which I mention in my book – Volume 1). The other comment on the recording I want to explain is about it being Liza’s 100th day…that is one of the practices we do in our lineage. We practice the initiations DAILY on an empty chair or on students if they are around. While this is a daily practice, a big hurdle is day 100. We have a form that we either place a check mark or a sticker on next to each day that we practice the initiations. If we forget to practice one day, then we start back at Day 1 and start the process over. So, when you have reached day 100, that means you have done the initiations every day for 100 days in a row without skipping or forgetting a single day.